Home > News > Find out more about the Archery GB Ambassador Programme! Find out more about the Archery GB Ambassador Programme! The closing date for the Ambassador and Mentor Programme is fast approaching and we would like you to get involved. The programme is designed to help you develop your skills, knowledge and experience to support your long-term career aspirations. We will provide you with branded clothing, a programme of training, and we will connect you with a mentor who will be on hand to share their experience and offer support. You will have access to an online hub, resources, guidelines and support from Archery GB. Young and Student Ambassadors will be funded to complete the highly esteemed Youth Sport Trust, Youth Sport Award which acknowledges learning, progress and achievement to build positive lifestyle habits and behaviours, which is a valuable addition to your CV. For Club Ambassadors Archery GB will work with you to support any specific training requirements you may have, which may include help towards your coaching qualification, presentation training, media training etc. We want to hear from anyone who has a passion for archery and a desire to help others enjoy the benefits of the sport. You might be fairly new to archery, a long-established club member or on the talent pathway. We are looking to recruit a good mix of people who have different journeys into and through the sport. An Induction Day will be held on Sunday 17 March at Lilleshall National Sports and Conferencing Centre, providing an opportunity to find out more about the programme. Parents of Young Ambassadors are invited to attend too. We appreciate people have varying capacity, so we want to be flexible regarding the time you have available to give to the programme. You will need to attend the training opportunities provided and help your club organise and deliver a minimum of two new activities per year, for example the Big Weekend, Have a Go, beginners, coaching, junior club sessions, a competition or social event etc. If you are interested or know of any young, student or club volunteers who are keen to know more, please ask them to complete the appropriate Expression of Interest form and return by 31 January 2019. 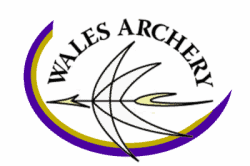 For more information please CLICK HERE or e-mail gayle.pink@archerygb.org.